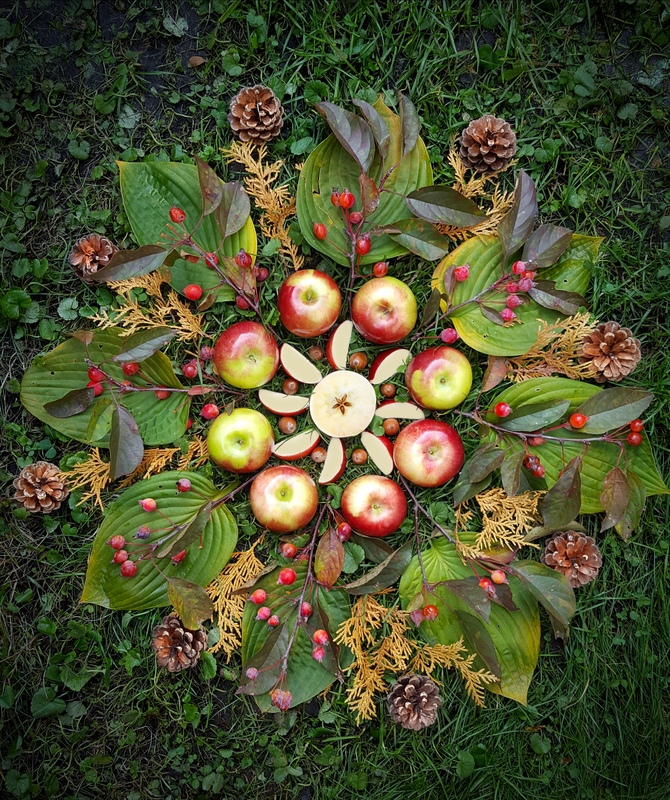 This entry was posted in Art, Autumn, Mandalas, Nature and tagged Apples, Art, Autumn, Creativity, Gardening, Mandalas, Nature, Photography. Bookmark the permalink. You are so creative! I enjoyed this! Thanks so much, Eliza! Having my sister truly is a gift, and I’m so grateful for the relationship we share. ❤ Oh, I won't forget that ice cream! 😉 Are you making any yummy things with the apples you picked yesterday? So pretty, Julie. I would even love it at Christmas. I just adore these mandalas, Jewels. Wow, have not seen anything like this before, totally unique!